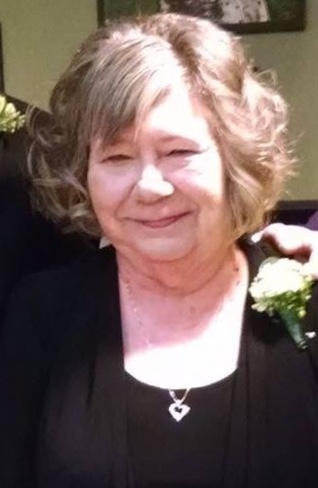 Judy M. Nuckolls, 72, of Norwalk passed away, Monday, February 4, 2019 after a courageous battle with cancer. She was born to William and Theresa McCrea, in Des Moines on November 7, 1946. She was married to Rodger T. Nuckolls in 1970 and they lived together in Des Moines and the Norwalk area for 49 years. Judy is survived by her husband, Rodger Nuckolls, children Keith Chase (Yvonne), Stephanie Pagois (Matt), and Kelly Nuckolls (Lanna) and grandchildren Ashley, Andy, Madison, Ashlynn, Savannah, Hailey, Hayden and Anthony. Judy has two beautiful great grandchildren that she adored (Hunter Chase and Colter Phillip). She also leaves behind numerous loving relatives, friends and neighbors who are dear to her. Judy was given the nickname of “Mo” by her grandson, Andy. She desperately wanted Andy to say ‘Grandma’ when he was a baby. In his sweet baby words he said ‘Mo’ instead of grandma and she has been fondly called “Mo” ever since. Judy had several jobs in her lifetime but the one that she loved most was being a mom. Family and friends were Judy’s passion and delight. She loved to spend time with family and cook her delicious recipes. Her spaghetti and lasagna were family favorites and she made those with love. She was a NASCAR fan and enjoyed watching and going to races over the years. Judy hand a green thumb and always had beautiful flowers and plants in her yard and home. She worked for a period of time in a flower shop at Hy-Vee where she created some of the most beautiful flower arrangements. Judy was a dog lover and had a special fondness for dachshunds. She had several dachshunds that brought her great joy in her life and is survived by her beloved little dog, Jack. In lieu of flowers a donation can be made to the Animal Rescue League of Iowa so that Judy’s love of animals can be continued. Judy’s family will have a private Celebration of Life Service.